At Home Water Testing | Orland Park, IL | All Seasons Pools & Spas, Inc.
Save time! All Seasons will come to you. We’ll test your pool water, on-site, and email you the results with step-by-step instructions to make proper adjustments! *It’s easy to qualify for $14.99 visits. All you need to do is purchase $300 in chemicals from us annually, sign up for as little as 4 consecutive weekly visits and live within a blue flag city shown on the map. If you live outside the blue flags but in a city with the red flags, no problem! 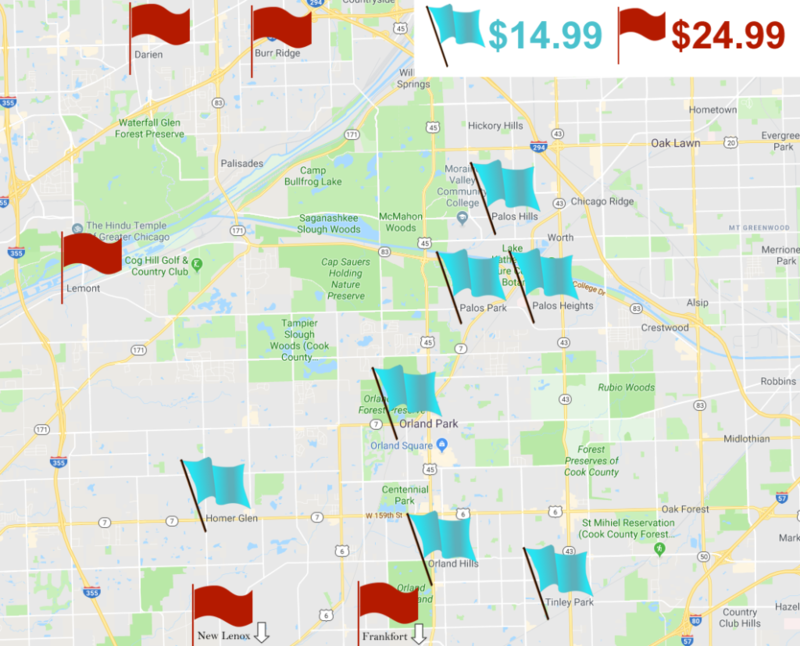 Pricing within a red flag is $24.99 per visit. The water testing technician will have most chemicals on their truck for purchase. Chemicals needed after the technician has left can be delivered at no charge on orders of $75.00 or more.